View Nancy Karraker's presentation on amphibians and reptiles in the Narrow River Watershed. Sunday April 7 from 1:00 to 3:00 p.m. The Magic Word is Frogs! Who knew these little critters were so cool? URI professor Nancy Karraker has traveled around the globe studying many species of amphibians and now returns to Canonchet Farm to check out its vernal pools. Bring your children and grandchildren or just the kid inside you. Get excited again about the natural world around us. See frogs, fairy shrimp, salamanders, and turtles found by Nancy as she wades into the pools in her hip boots. Please meet Nancy at the South County Museum, 115 Strathmore Street, Narragansett. This program, sponsored by Friends of Canonchet Farm, is free and open to the public. For more information call 401 783-3951. Talk and guided walk, Sunday, April 28, from 1:00 to 3:00 p.m.
Naturalist and artist Elise Leduc will provide an introduction to nature journaling beginning with a mini-lesson in the Metz Building at South County Museum. The lesson will guide you through the basics of keeping a nature journal including different journaling methods and formats, useful materials and initial prompts to get started. We will move outside for a hands on journaling activity where participants will be guided to document their observations through sketches and written word. This basic beginner-level workshop requires no drawing experience, just a curiosity for the natural world. Please bring a sketchbook, pen or pencil, and colored pencils. Meet Elise in the South County Museum parking lot, 115 Strathmore Street, Narragansett. This program, sponsored by Friends of Canonchet Farm, is free and open to the public. For information please call 401 783-3951. Guided walk, Sunday, May 5, 1:00 to 3:00 p.m.
Doug McGrady, a member of the Rhode Island Wild Plant Society, will lead a botany walk at Canonchet Farm. Doug has walked all around Rhode Island and found many rare and/or endangered plants. It would be great if he had the same luck on a walk with us? Please meet Doug in the Anne Hoxsie Lane beach parking lot directly across Boston Neck Road (Scenic Route 1A) from the Narragansett Town Beach South Pavilion (GPS address: 39 Boston Neck Road). This event, sponsored by Friends of Canonchet Farm, is free and open to the public. For more information, call 401 783-3951. 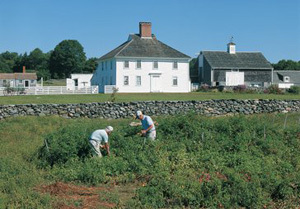 Talk and guided walk, Sunday, May 19, 1:00 to 3:00 p.m.
University of Connecticut geology professor and author Robert Thorson will present a talk in the Metz Building of South County Museum and then head out to the trail which highlights some of the miles of stone walls wandering through Canonchet Farm. Professor Thorson has written two books: Stone by Stone: The Magnificent History in New England's Stone Walls and Exploring Stone Walls, A Field Guide to New England's Stone Walls, both available for purchase. 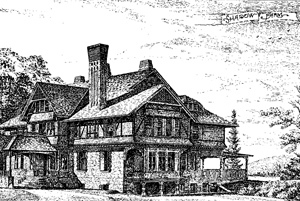 South County Museum is located at 115 Strathmore Street, Narragansett. This program is cosponsored by the Narragansett Historical Society and the Friends of Canonchet Farm, and it is free and open to the public. For more information, please call 401 783-3951. Guided Walk, Sunday, June 2, 1:00 to 3:00 p.m.
Danielle Perry, a fourth-year Ph.D. candidate in the Biological and Environmental Sciences Program at URI, with a specialization in Ecology and Ecosystem Sciences. Danielle is a 2017 recipient of the prestigious NSF Graduate Research Fellowship. Her research interests include salt marsh ecology, restoration ecology, and coastal habitat conservation. She has participated in the effort to restore the salt marsh in Pettaquamscutt Cove. As we walk, Danielle will identify the different wetlands species. Please meet Danielle in the parking lot of South County Museum, 115 Strathmore Street, Narragansett. This event, sponsored by Friends of Canonchet Farm, is free and open to the public. For information, call 401 783-3951. Please join us for the eighth season of the winter speaker series On Pettaquamscutt: Presentations on the Environment and the History of the Narrow River Watershed. Presented by: Friends of Canonchet Farm, Narrow River Preservation Association, South County Museum and the Maury Loontjens Memorial Library with generous support from Trio Restaurant. Space is limited for each presentation, so we encourage you to register to reserve a seat, when online registration opens at the beginning of the month of the presentation. The Friends of Canonchet Farm is funding design of a linear park along the two coastal ponds across from Narragansett Town Beach. Landscape Architect Randy Collins of Beta Group will present the plans for an inviting and sustainable landscape in the heart of Narragansett. Resident and local historian David Chidakel will trace the ownership of Shadow Farm from the Colonial times of the Robinsons and Hazards to its development as a condominium project in the 1980s. 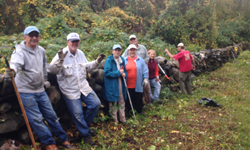 In October, Friends of Canonchet Farm volunteers returned to working along the Canonchet Farm Trail, removing invasive vegetation and making the trail safer and more enjoyable. The work continues every Saturday (whether permitting through the spring, when work shifts back to restoration of the area along Lake Canonchet and Little Neck Pond. Read Alan Woodmansee's description of the project as a URI Master Gardener Direct Education Project in an article adapted from from the Master Gardener newsletter. Please meet at the Friends of Canonchet Farm trailer located on the grounds of the South County Museum at the end of Strathmore Street, which is off Kingstown Road in Narragansett. We will gather at 9 a.m. and walk to the area of the trail where we will be removing privet, multiflora rose, bittersweet and other invasive plants. As always, we provide tools, snacks, drinks, gloves, instruction and fun. You'll meet wonderful people who share your concern for the preservation and improvement of Canonchet Farm. For more information, contact Kathie Kelleher at events@canonchet.org. For dates and times, and for additional walks throughout the year. Or better yet, send us an e-mail so we can place your e-mail on our events address.